The third edition of PUMPS & VALVES, the International Trade Show for Pump Systems, Valves and Equipment for Industrial Processes, will be held at the Bilbao Exhibition Centre from 4 to 6 June, and the exhibition will be combined with keynote speeches and other exchange spaces featuring an extensive programme of parallel activities. 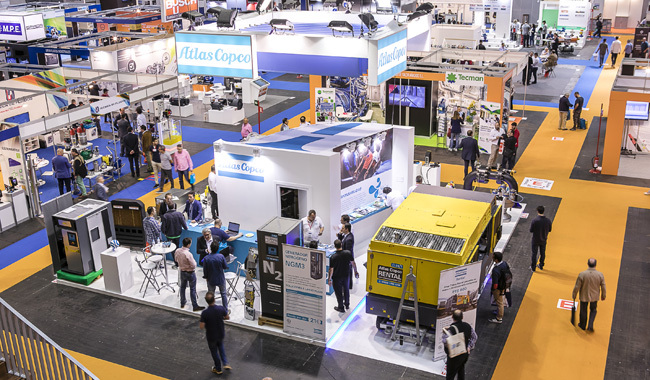 A new addition to Pumps & Valves 2019 is the “Open Meetings” programme in which the exhibiting and sponsoring companies and fluid handling process equipment, solutions and technology suppliers will be able to come into direct contact with the visitors that use such services. The sales team is currently working on managing guests by making an initial VIPs selection, to which the profiles put forward by the exhibitors themselves will later be added. Those invited to take part in this programme may choose to hold interviews with the exhibiting companies that wish to do so. The highly specialised programme of keynote speeches will be held on 6 June, providing visitors with the opportunity to find out about the state-of-the-art fluid process equipment and technology through the best success stories from user companies and engineering firms. The “Innovation Workshops” will also be held on the same day, where the exhibiting companies will give brief presentations on the latest innovative technologies, real case studies and the best solutions. The list of companies that have registered as visitors for the event to date includes Kraft, Petronor, Siemens, Sener Ingeniería y Sistemas, Praxair, Idom, SKF Española, Tamoin, Tecnalia, TSK Energy Solutions, Astilleros Zamakona Pasaia, Enagas, Acciona Agua, Acciona Construcción, Bridgestone Hispania, CLH, Cobra Energía, Conservas Palacio, Consorcio de Aguas de Bilbao Bizkaia, Derivados del Fluor, Activa Ingenieros, Indar Electric, Granja San Jose, Grupo Eulen, Grupo Typsa, Haizea WindGroup, Industrias Químicas del Ebro, Maxamcorp Holding, Moncobra and Patentes Talgo, among many more. Going even further than this event alone, in June 2019 the Bilbao Exhibition Centre will become the largest international meeting point for industrial manufacturing processes and supplies, a unique space that will offer visitors the possibility to take an eye-opening tour through the other international trade shows that will take place at the same time, including: PUMPS & VALVES, MAINTENANCE, Industrial Maintenance Fair; INDUSTRY TOOLS by FERROFORMA, the International Industry Tools and Supplies Fair; SUBCONTRATACIÓN, the International Fair of Manufacturing Processes and Equipment; FITMAQ, International Fair of Bargain & Used Machinery; BeDIGITAL, the forum dedicated exclusively to the digital technology industry; and ADDIT3D, the International Trade Show on Additive and 3D Manufacturing. Highly specialised visitors and more than 1,400 exhibiting companies from all over the world will be taking part.